SOUGHT AFTER LOCATION! 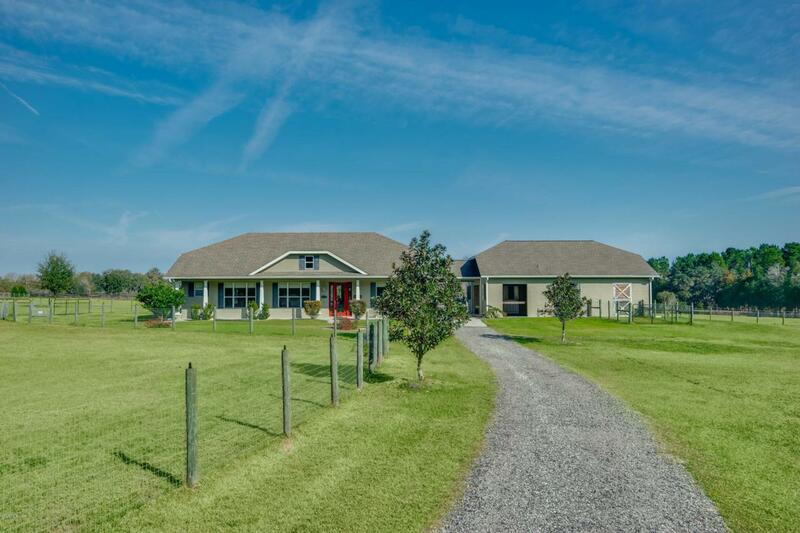 Luxury 2012 farm on picturesque street in NW Ocala's Golden Corridor, close to Golden Ocala, World Equestrian Center and HITS. 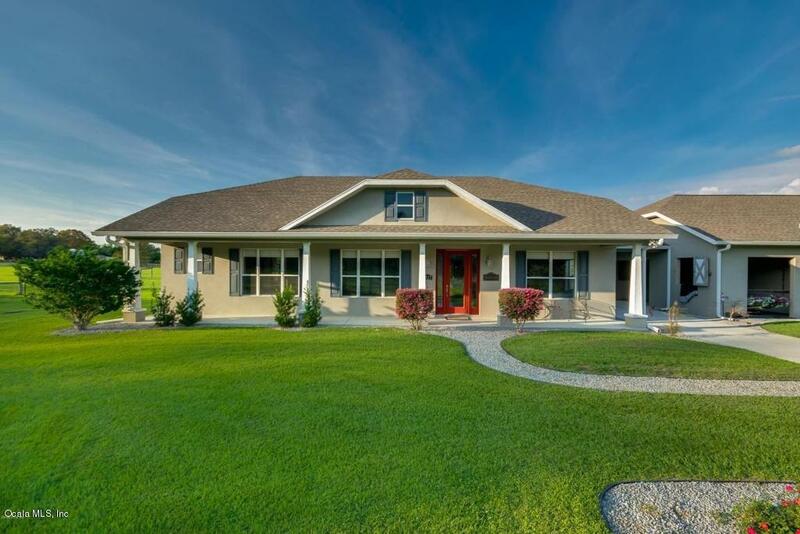 Custom home with quality construction throughout. Granite tops, crown molding, recessed lighting, tile, and guest suite w/ its own entrance. Lightning protection, superior insulation+18 SEER AC (VERY LOW Electric bills). Entire house is on auto switch generator. Stainless European appl. by Miele/Bosch, 3 ovens, incl. steam oven. CBC show barn with breezeway to home, plus large storage/workshop/RV Morton Barn. Barn ceiling fans, grooming stall plus Insulated tack/feed w/ sink and washer hookup. Stalls have attached paddocks/pastures. Turnkey, immaculate, high efficiency, low maintenance farm. This is true horse country paradise. Listing provided courtesy of Lisa Guess of Royal Shell Real Estate.